Sculptures that are fun, artistic and socially beneficial. Recycled Oil Drum Sculpture. 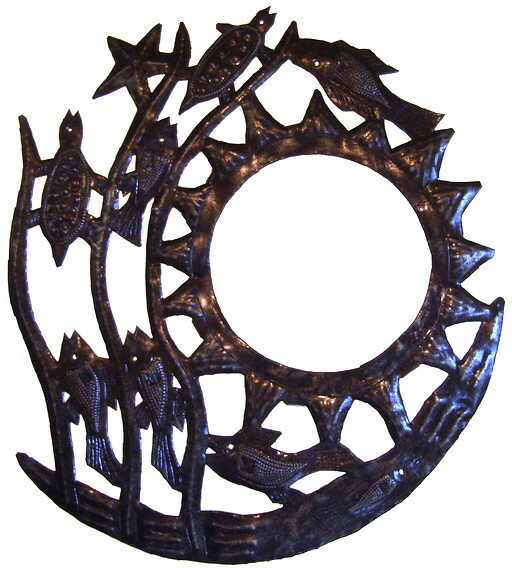 Haitian oil drum art, designs are chalked out on flattened steel oil drums and then cut out with a mallet and chisel. 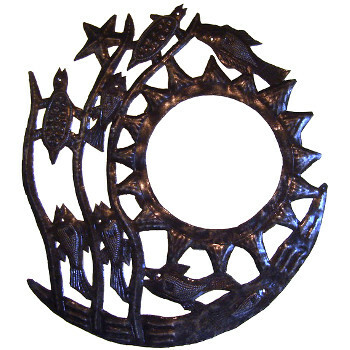 This art form began in the late fifties with a blacksmith whose name was Georges Liataud. Many talented sculptors have since followed. These works are perhaps the most innovative in sculpture since Calder's Mobiles and grace such prestigious institutions as the Museums of Modern Art in Paris and New York. These sculptures are made to be used inside or outside. Outside they eventually do begin to turn a beautiful patina.